Janet Rinaldi’s life has always been about passion and creativity. She is known for always taking the extra step to make everything special and unique. A previous office manager, Janet became a stay at home mom suddenly when her oldest daughter experienced numerous illnesses as an infant. After a year of being at home, Janet was anxious for a creative outlet. When contacted about purchasing Kookie Krums, everything fell into place, and it was the perfect fit. Along with a new owner came a new perspective, fresh ideas, and a very strong passion for taking this fantastic shop to the next level. You can see Janet’s passion when you walk in the door of her shop. She is constantly finding new merchandise, innovative ways to decorate, arrange, and package cookies and gourmet treats to make a spectacular presentation. 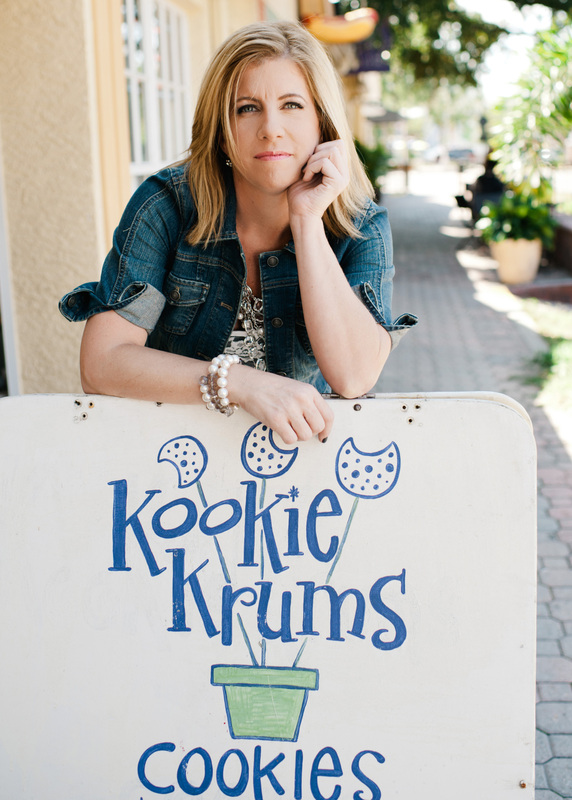 Kookie Krums’ customers generally become both customers for life, and dear friends. They celebrate together, and through cookies, when babies are born, new homes are bought, sicknesses endured, and victories won. As a newlywed into a blended family of nine, Janet is committed to building a thriving business for her family. The kids can often be found suggesting treats to customers, and are always eager to help. Janet enjoys encouraging their creativity, while teaching them about being a successful business owner and following your dreams.